This morning I spoke at the annual service of commemoration for Mary, Queen of Scots in St Mary and All Saints church, Fotheringhay, Northamptonshire. 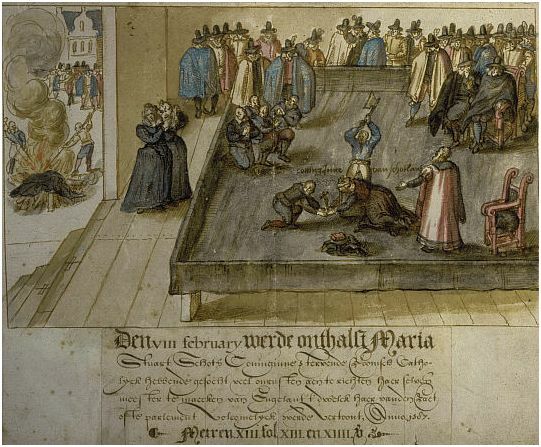 Mary was beheaded in the great hall of Fotheringhay Castle on 8 February 1587. The service was led by Rev. 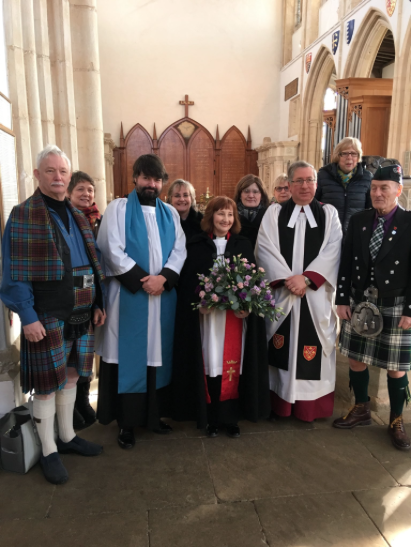 Anne Hindle, with Canon Tim Alban-Jones, Vice Dean of Peterborough Cathedral, preaching, and it was attended by representatives of both the Marie Stuart Society and the Royal Stuart Society. The service was in a mixture of English, French and Latin (with the Latin sections read by me). Below is the text of my brief talk in the church, in which I focussed on Mary’s willingness to exist with religious difference. Some of the last words of Mary’s father, James V of Scots, were supposedly a prophecy about the crown of Scotland and the House of Stewart: ‘it come witht ane lase, it will pase witht ane lase’. The first ‘lass’ was Marjorie Bruce, who married Walter Stewart, High Steward of Scotland in 1315 and thereby passed the crown to the house of Stewards. James’s daughter Mary was not, of course, the last Stewart; but James V turned out to be right that the last monarch of the Stewart dynasty to rule – Queen Anne – would be a woman. This year, the House of Stewart has suddenly shot to prominence in popular culture, with two films being released about Mary, Queen of Scots and Queen Anne. There is so much interest in Mary, Queen of Scots that she now has her own emoji. So what is it about the Stewarts, and about Mary in particular, that suddenly seems relevant to the present? It seems clear that Mary garners considerable interest because she was the first woman to sit on the throne of Scotland, at a time when England was also ruled by a queen. We are fascinated by the challenges faced by a woman holding the supreme office of state at a time when male misognyny was perhaps more intense than at any other time in history. We are also fascinated by the contrast of personalities and policies between Mary and her cousin Elizabeth: one Catholic, the other Protestant; one disastrously married, the other unmarried by choice; one a fugitive from her own chaotic kingdom, the other majestically presiding over a supposed ‘golden age’. From the moment of Mary Tudor’s death on 17 November 1558, Mary, Queen of Scots – who was then still in France – assumed the royal arms of England as the rightful successor of Henry VIII’s sole legitimate daughter in the eyes of the Catholic Church. Already Queen of Scots and self-proclaimed Queen of England and Ireland, Mary then became Queen Consort of France in 1559. Although Mary later renounced her claim to be the Queen of England, she never gave up her claim to succeed Elizabeth, and after her flight to England in 1568 Mary became the centre of numerous plots to replace Elizabeth. Mary has been described as the ‘conservative candidate’ to succeed Elizabeth as Queen of England, on the grounds that Mary’s Catholic faith made her appealing to religious conservatives unhappy with the Elizabethan religious settlement. But this characterisation of Mary as a puppet of Catholic restorationists overlooks Mary’s religious policy during her personal reign in Scotland, which stood in stark contrast to Elizabeth’s in England. In sixteenth-century Europe it was widely accepted that the monarch’s personal religious preferences determined the faith of the people whom he or she ruled; Mary was virtually unique in her own time, as a monarch of one faith who consented to rule a nation of another. Although Mary retained the mass in her own household, she accepted Scotland’s Protestant settlement and even undertook to defend and uphold the Protestant faith. Mary’s willingness and ability to live with religious difference stands as one of the most striking features of her rule. Mary never attempted to impose her own faith on her subjects; the most she ever did, which prompted a coup against her, was to move towards legalising the mass in Scotland. Mary, in other words, envisaged confessional coexistence in the 1560s. In this respect she was far ahead of her time, and perhaps also doomed to failure – after all, her great grandson James II and VII would lose his throne for attempting, in the 1680s, exactly what Mary had failed to achieve over a century earlier. Mary’s policy of living with religious difference stood in stark contrast to Elizabeth’s. The Elizabethan Settlement sought to comprehend the greatest range of religious opinion acceptable to Elizabeth, including conformist Puritans and church papists willing to dissemble their Catholicism. But Elizabeth’s government persecuted anyone who dissented from the settlement itself: Catholics who refused to attend their parish church and Puritans who rejected liturgy and government by bishops. It would not be until the first Toleration Act of 1689 that the Church of England accepted, for the first time, that it could neither compel nor expect every English man and woman to worship in the parish church according to The Book of Common Prayer. The Catholic faith and the assertion of my God-given right to the English throne are the two issues on which I am condemned, and yet I am not allowed to say that it is for the Catholic religion that I die, but for fear of interference with theirs. In the end, Mary died as much a martyr for the idea of religious co-existence as for her own personal faith. It was the prospect of a monarch on the throne of England who did not share the nation’s established faith that terrified Elizabeth’s councillors, in spite of the fact that Mary had shown herself willing and able to govern Scotland on exactly these terms. In a world where sincere efforts towards creative compromise seem singularly lacking, there is a case for remembering Mary, Queen of Scots not as a reactionary monarch anxious to turn back the clock of the Reformation, but as a ruler ahead of her time who was prepared to live with religious difference and put the good of her nation ahead of ideals of confessional purity. 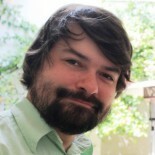 This entry was posted on February 3, 2019 by jacobite.